Chennai is all meant for its own specialties one other, important dream destination for many who visits Chennai, it’s none other than ITC GRAND CHOLA, yes on of the fabulous hotel ever built it’s a five star luxury hotel built in the area of about 1,60,000 sq ft. Chennai takes its own privilege to have it here it has been awarded as one of the largest LEED certified hotel in India. 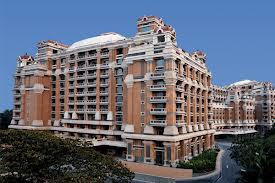 It was opened by honorable chief minister of Tamil Nadu J. Jayalalithaa Cholas is known for its luxury architecture and for its hand carved luxury materials. 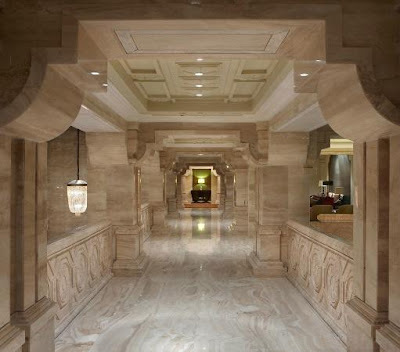 The specialty of hotel is it consists of pillar less Ball room. ITC campa hired an 800 sq ft land in the year of 2000 and the hotel was inaugurated in the year of 2012, September 15. The hotel was build under the same architecture of South Indian temple which has four entrances in it, named Vallavan, Sembiyan, Killi, and Grand Chola. 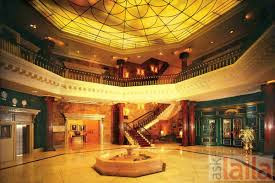 All other features include tall pillars, grand columns and sweeping staircases. Sangam is the common entrance which opens its wings of entrance to all. Other stunning appearance of Chola is its Marble Carved appearance where you will lose yourself in its beauty. It has carved 462 pillars with 56 varieties of marbles in it. It resemble exactly with the Tanjore Bhirahadeeswara temple. Most of the materials used in the construction are re-cycled products and remaining 40% of the materials are reused as in they are, the cement used for construction are Fly ash cement, most of the marble were imported from Italy. The hotel uses 12.6 MW carters for its own production of energy and most of its energy is in the form of renewable resources, it uses Hartman Roofing which is a combination of Green roof and reflective paints are used energy is being saved in the form of Jet form ventilation. Hotel uses automatic lighting system to conserve energy in it. Water wasted in the hotel is totally recycled and 35% of it is being conserved. I hope who ever visits Chennai if time permits please do visit chola it is worth allocating time for it on the whole, Please enjoy chola along with her aesthetic presence of it.